Cabbage Soup Diet- Have you heard of it? Have you ever heard of the cabbage soup diet? This diet has been around for a long time and keeps getting revived every once in awhile. 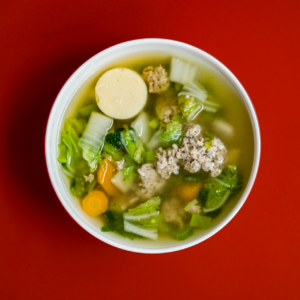 The cabbage soup diet owes its success to quick weight loss in a short amount of time. I tried this diet many years ago with great success. This diet has also been called the model’s diet. After a week or 10 days you definitely get tired of eating cabbage soup even though you have other things to eat also. But, the results are worth it. The cabbage soup diet owes its success to quick weight loss in a short amount of time. It’s usually recommended that you stay on it for a week. You can expect to lose 10 lb in one week if you adhere to the diet and need some weight to lose. If you need to lose 10 lb in a hurry the Cabbage Soup Diet might be just for you. I don’t even like cabbage, but I love this soup. If you’re going to a special event like a wedding or on a vacation, then this diet will help you get in shape for that, quickly. But if you want it to work at it’s best, don’t cheat. It’s quite restrictive and that’s why it works. But you really need to not cheat. How does this diet work? This diet is for 7 days only. You follow a specific eating plan and don’t deviate. You have a variety of different foods each day along with the cabbage soup. You can eat the soup in unlimited amounts so you never are hungry. Also, water is very important on this diet. You need to drink at least eight to ten glasses a day to help flush out your system. So, let’s get started and see what you can have on this diet. Day 1. Eat only fruit for your first day and as much of the cabbage soup you want. Try to eat fruit with the lowest amounts of sugar, like blueberries, apples, melons.You can eat as much fruit as you like as long as it isn’t loaded with sugar. Day 2. No fruit, just vegetables. No starchy vegetables, like winter squash, carrots, corn,or peas but you can have a baked potato or sweet potato. But, only on this 1 day. Also salads are good, zucchini, cauliflower, bell pepper, will work. Non-starchy vegetables are good, so eat to your heart’s content. And, don’t forget the cabbage soup. You can have that at anytime during the day. Date 3. Today, you can splurge, you get fruit and veggies but no baked potato. Also make sure your fruits have low sugar content and your veggies are not starchy. Day 4. Today you eat only bananas and yogurt. Use unsweetened yogurt almond Greek yogurt is good and your cabbage soup. You can make a smoothie from the bananas, milk and yogurt. It’s not too bad, but, very filling oh and all the cabbage soup you want. Day 6. More protein and veggies. You can have beef, vegetables and don’t forget your cabbage soup and plenty of beef. But, you may substitute fish for one meal. You can also include a salad but go very light on the dressing. Day 7. You are allowed unsweetened fruit juices, vegetables and brown rice. Make sure the vegetables are not starchy, but fill yourself up, of course on the soup. Can you change anything on this diet? Not, if you want to see good results. Try to stick with the diet plan so you will see good results. You will see up to a 10 pound weight loss, if you have a substantial amount of weight to lose. The water will flush out your system, and if you want to have coffee or tea, don’t put cream or sugar in it. For variety try Matcha green tea for a change. Stick to the diet closely, stay away from starchy vegetables. 7 days is all it takes to help you break the bad habits and add new and better ways to eat. Make sure to follow this diet closely to see good results. This is not a long-term diet but a good starting off place to kick-start your weight loss program. Adding some form of exercise is very helpful. Once you see quick results it will give you the needed motivation to continue on your weight-loss journey to get that weight off for good. Good Luck! Sauteed chopped onions in olive oil for 2 to 3 minutes. Add celery and pepper and cook 4 to 5 minutes. 4. Core cabbage, shred and add to the pot. Cook for 10 minutes, adding the Cabbage last helps to preserve nutritional value. Enjoy and good luck with your weight loss program. Thanks for sharing this article on cabbage soup. I have not tasted this cabbage soup but I have heard how nutritious it is health and it also helps in losing weight. I think this soup is really good for anyone that want to drop some pounds. I will also suggest this soup to cousin that want to get rid of some fat in her body. Thanks for posting this article. It is helpful. I have never had a cabbage soup recipe before now. Although from this article, it looks really promising, owing to the fact of its awesome weight loss potentials. Your weight loss diet list as slated down in your article make me want to give a try to reduce some lb. However, my question is whether an ulcer patient who seeks weight loss can embark on this cabbage weight loss journey? Cabbage soup, hmm, never heard of that. It’s just that there are so so many weight loss diets these days that one doesn’t even know which one to follow. However, losing 10lb in one week is a good one, another issue is consistency and being able to sustain, like you rightly said, after taking cabbage soup for a week, one will definitely get tired and want to try something else, so the weight lost can be gained back easily. And I really don’t think it’s a good idea to jump from diet to diet as it can affect the body’s digestive system. So,this is the best blog post I’ve read today. I have about 40pounds to lose, so I got a good plan with this cabbage soup diet. I would do the cabbage diet for a week every other month for 6months and the rest of the month would be intermittent fasting and I’d be adding skip ropes, squats, abs and arm exercises. I’ll definitely log and write about the journey and see what my results would be in the next 6months. I hope it souls be overdoing it. So interesting! I’ve been looking for new and exciting ways to eat healthier and cleanse my body a little bit. I’m happy I stumbled onto this post! I never would have considered cabbage soup as a dieting method, but it actually makes a lot of sense. High nutrition and low calorie, plus cabbage tastes amazing and therefore is a sustainable diet. (for me at least lol) I’ve tried diets in the past that weren’t sustainable simply for the fact that they didn’t taste good!! I don’t think I will do JUST cabbage soup but I will definitely incorporate it into my weekly diet because of this post, so thanks very much! I love reading your content and hope to hear more from you in the near future ^^ !! !